On the DigiTimes web site, an article declares that China's labor shortages are worsening, particularly in the eastern region. Labor shortages are now an annual issue, but the problem has occurred earlier this year and is more severe. The situation is expected to get worse before the Lunar New Year (in February). In particular, the authors quote managers of electronics firms involved in manufacturing flat panels and related components. One of the companies mentioned in the article indicated that orders for November and December are even higher than those in October, which registered record monthly sales, but the labor shortages could affect sales in the last two months of 2010.Essentially, they are implying that they cannot accommodate all the business that is available. The component makers indicated that labor shortages typically worsen as the Lunar New Year approaches and many workers return to their hometowns. Most laborers should return after the holidays but some will decide to stay home. Though the labor shortages will ease, manufacturers will have to continue to monitor the issue. 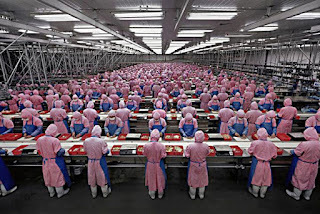 I never realized this, but many Chinese factory workers are actually migrant workers. In China's case, migrant workers go from the country to work in factories in cities. In contrast, what we are familiar with in the US is that migrant workers end up in the country working in farmers fields. There are several reasons contributing to labor shortages beyond holiday vacations. The cost of living in factory towns and cities has increased dramatically while wages have not nearly kept pace with price increases. Many workers feel it is just not worth it to leave their hometowns and families behind in order to work for wages that, after subtracting basic living expenses, leave little left over for savings or discretionary spending. In the meantime, more and more young people are getting college degrees and are unwilling to work in factories for low wages. This further reduces the pool of potential factory workers. These cost of living issues are foremost among the many important reasons why the Chinese government and central bank are actively taking steps to slow inflation. And factory managers are finding that they need to offer more competitive wages. Slowing inflation reassures the workers they will have some money left in their pockets after payday. Increasing wages will help transform China into more of a consuming economy instead of single-mindedly being a manufacturing/exporting economy. Reducing labor shortages allows Chinese manufacturers to avoid turning down orders. If the government is successful in taming inflation and workers get raises, it could be a win-win situation. With respect to the manufacturers, however, it remains to be seen whether increased sales will offset higher wages. 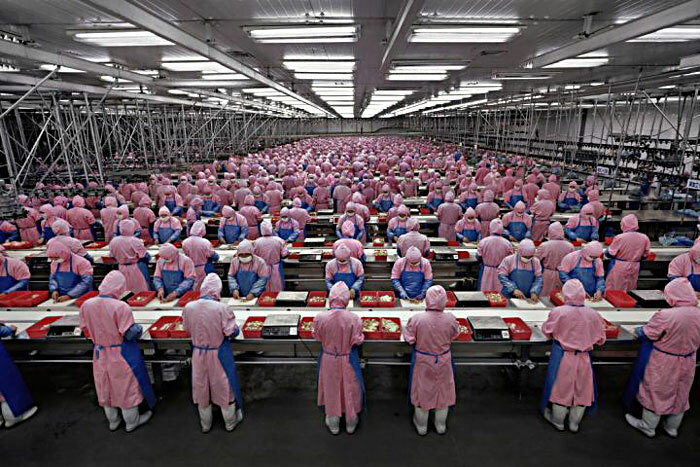 Given the lag in the effects of government actions and the pace at which wage increases are being rolled out, some company managers are choosing to build new factories further in the western, more rural part of China instead of in the crowded, high-cost eastern half. This, in turn has its own effects, some of which are actually very good. It reduces the need for workers to live a migratory lifestyle. It makes it worthwhile for China to continue its binge of infrastructure projects, especially the energy and transportation projects (which also happen to provide jobs), in order to make the west more friendly to manufacturing and hi-tech. This will spread prosperity more evenly across the country and reduce social tension between rural and urban and east and west. If labor shortages persist, I wonder how China will respond. It's clear that they are reluctant to allow anything to impede the manufacturing juggernaut that has resulted in China being called the world's factory. Will Chinese companies begin to build factories in other countries? Will China invite in foreign guest workers like Germany did? Similarly, if labor costs increase, will China act like the US and send the jobs to the next lower cost country like perhaps Vietnam? It's a complex issue and an important one now that China has assumed such a significant place in the global economy. It will be interesting to see how China deals with the situation.